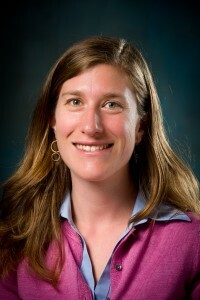 Worthen received San Jose State University’s Early Career Investigator Award in 2016 for her strong publication track record. 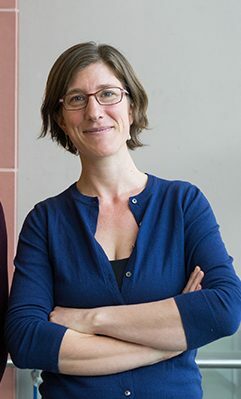 Her research examines the psychosocial experiences of vulnerable populations that have undergone high levels of trauma, with an emphasis on those who have participated in armed forces or have been impacted by exposure to war. At the lecture, she will discuss the findings of her recent mixed-methods study that aims to increase understanding of the reintegration challenges that U.S. Veterans and members of service face. The University Scholars Series is supported by University Library, the Spartan Bookstore, RSCA Advisory Council, the Office of Research and the Office of the Provost. Miranda Worthen, a professor in the College of Applied Sciences and Arts Health Science and Recreation department, has published three recent journal articles that intersect on the topic of traumatic stress. Worthen, who has a doctorate in epidemiology, coauthored “Experiences of Parents Caring for Infants with Rare Scalp Mass as Identified through a Disease-Specific Blog” in the Journal of the American Board of Family Medicine in the November-December 2015 edition. The topic of the study was personal for Worthen, whose first daughter was diagnosed with delayed subaponeurotic fluid collection as an infant, a benign condition. When she took her daughter in with a mass on her scalp, her daughter’s pediatrician called in other doctors at the clinic and they used deductive reasoning to determine the mass was not something that required treatment, Worthen said. “They said, ‘We don’t know what it is, but we aren’t worried about it,’” she said. She discovered her experience was unique when she found a support blog for parents of children with the condition. In addition to causing excess worry for parents for a condition that resolves over time, some children were also exposed to diagnostic tests such as CT scans that Worthen said can increase the risk of childhood cancer. Worthen said she was inspired to share her daughter’s story because she and her mother had co-authored an article about their own medical traumas 20 years ago when Worthen was a high school student. The article discussed the impact of Weingarten’s multiple breast cancer diagnoses on her daughter as well as her daughter’s diagnosis with a rare genetic condition on her mother. Worthen and her mother Kaethe Weingarten have co-authored a follow up article that reflects on the time period from 1997-2010. “Unreliable Bodies: A Follow-up Twenty Years Later by a Mother and Daughter about the Impact of Illness and Disability on their Lives” appeared in Family Process. The article shares their personal recollections about their own medical issues and that of the other. “I think she was afraid her health problems had had a much bigger negative impact on me than they did,” Worthen said. Worthen said while she was writing the follow up article she was again experience medical trauma after the birth of her second child. “I was writing it during a time of poor health,” she said. “It helped me maintain perspective through all of that. These articles with personal ties relate to Worthen’s primary focus of research that involves psychosocial experiences of vulnerable populations with high levels of trauma, such as war-affected young mothers in Africa, U.S. military service members and veterans, and American Indian and Alaska Natives living in the Bay Area. Worthen’s third article, “Anger and Posttraumatic Stress Disorder Symptom Severity in a Trauma-Exposed Military Population: Differences by Trauma Context and Gender” was published in the Journal of Traumatic Stress December 2015 edition. “This grows out of research for my dissertation,” Worthen said, who had studied anger issues in girls in West Africa who had been child soldiers. She said she was interested in looking at anger issues in veterans to see if there was a difference between men and women. The researchers compared responses to trauma during deployment, such as an explosion or coming under fire, and civilian trauma such as the sudden death of a loved one or an injury. The study found that men and women responded similarly to military trauma, but that women had more anger over civilian trauma.